Olaf is working as a researcher at the Netherlands Institute for Transport Policy Analysis. He studied economics at VU University Amsterdam where he also received his PhD in Transport Economics in 2009. 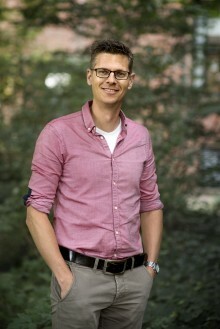 Olaf subsequently held research positions at the European Commission and PBL Netherlands Environmental Assessment Agency. At KiM he focuses on two different research lines: freight transport and cycling, with a focus on combined bicycle-transit use and bicycle parking at train stations. DCE expertise: combined bicycle-transit use, bicycle parking at train stations.